The idea of strapping on a helmet and hopping on a bike is appealing, especially as the weather begins to cool. 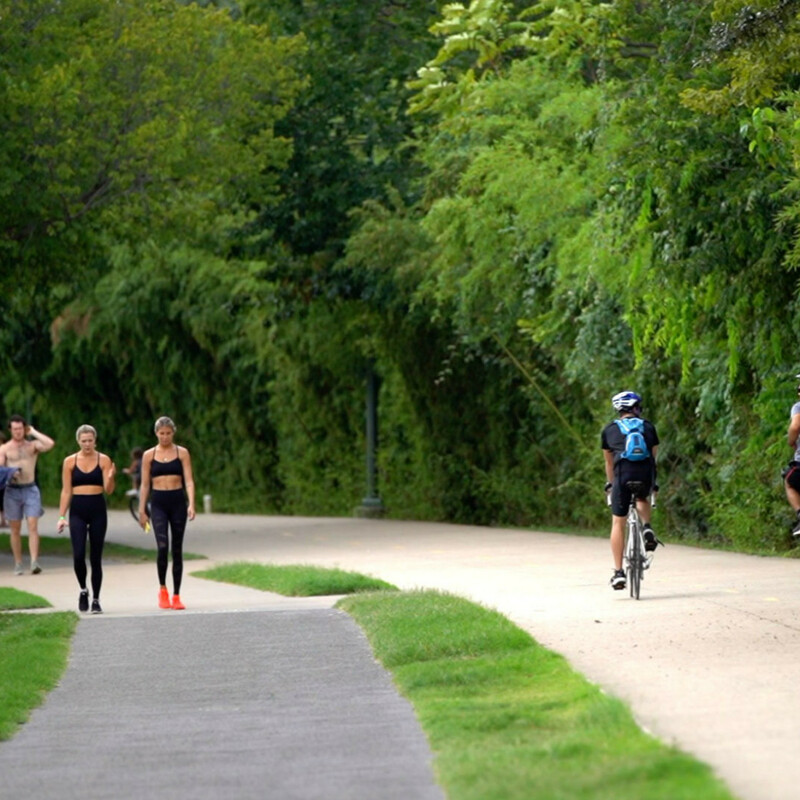 But unless you live right by a bike trail, how do you (and your bike) get to one? 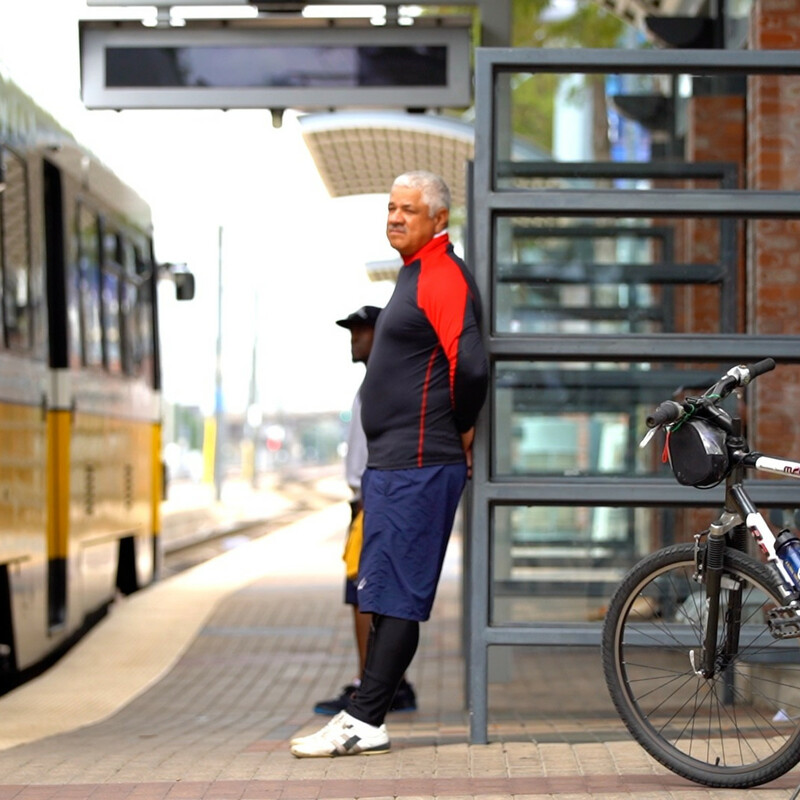 DART is not only bike-friendly but its trains have stops near most of the major trails in Dallas and the surrounding areas. 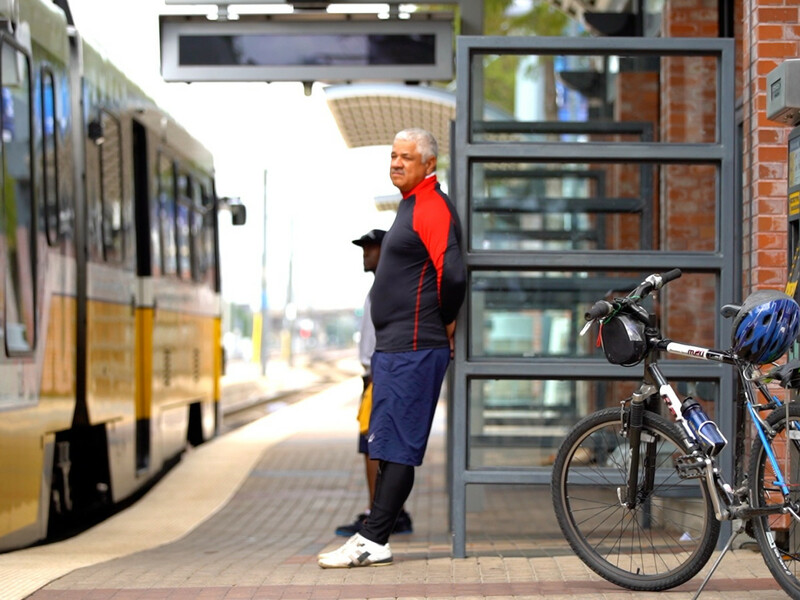 Getting your cycle on and off a DART bus or train is super simple, and using the GoPass mobile app to pay for and plan your trip is even easier. Trail tips: The paved path follows the shoreline of Bachman Lake, providing not only peaceful views of the water but also the geese and ducks that reside there. Be on the lookout for a grove of bald cypress trees, which provide welcome shade if you need a break. Trail tips: The north section is the longest continuous trail in Irving and one of the longest in the Dallas area. The 12-foot-wide trail winds in and out of trees, offering views of the Trinity River, and features drinking fountains and covered picnic pavilions for those who want to bring a snack. Trail tips: Though this trail is a bit of a hike from the station, it's worth it once you get going. Below-grade crossings on major streets make for a pleasant ride, as the route travels through Plano from Harrington Park to Jack Carter Park, where it also intersects with the Bluebonnet Trail. Trail tips: It functions as a critical connection between the Preston Ridge Trail and the White Rock Trail, extending from Spring Valley Road to Royal Lane. 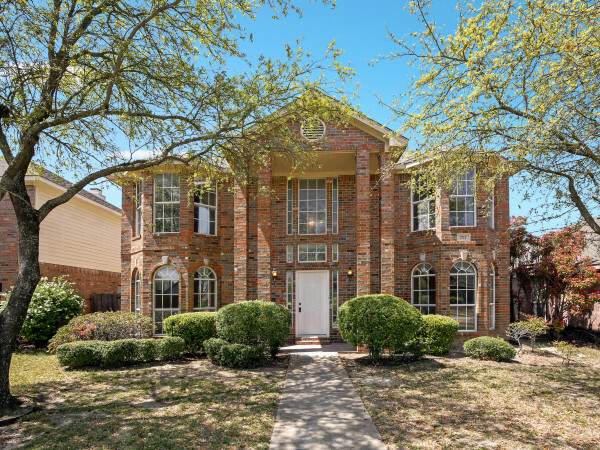 Expect lots of landscaped areas and places to sit and catch your breath, as the trail runs through several residential neighborhoods. Trail tips: Ride here if you love company, as you'll be surrounded by joggers, walkers, and in-line skaters at pretty much all hours. The northernmost point begins near SMU and it ends in Victory Park, taking you on a tour through Dallas and offering several places to stop in for a drink or a bite along the way. Trail tips: Lush greenery surrounds this wooded trail (one of the few on this list that's not paved), and it can be easy to get lost if you don't stick to the path. If you've got an adventurous four-legged friend, they can accompany you as long as they're on a leash. Trail tips: It's only minutes from US-75 but feels miles away thanks to abundant foliage. A small creek runs through this heavily wooded trail, which is a popular place for nearby residents to take a daily stroll or walk their dogs. 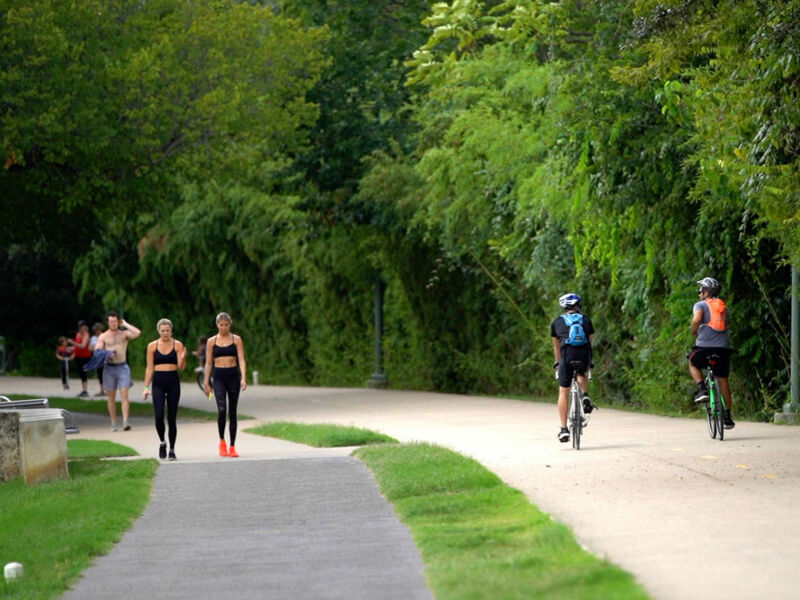 Trail tips: This picturesque trail hugs the shoreline of White Rock Lake, and for that reason is one of the most popular in Dallas. If the whole loop is too much, bike the east side and enjoy a stunning view of downtown Dallas — just be sure to look at the path sometimes, as pedestrians are plentiful on this route. If you're itching to ride off-trail, be sure to sign up for the Dallas Bike Ride on November 3. The 20-mile course clears its streets of cars, allowing cyclists to see Dallas and its landmarks in a whole new way. The family-friendly event is open to riders age three and up, and there is entertainment along the route and a big Finish Festival at the end. Register to ride here.